It seems like it would be easier to declutter when you are planning to move, or when you purchase your dream home or decide to move overseas. The reality is, if you don’t do it now, you won’t do it when. There is never going to be the perfect time. There is no time where decluttering will be easy. If you long to embrace minimalism, take Nike’s advice and just do it. 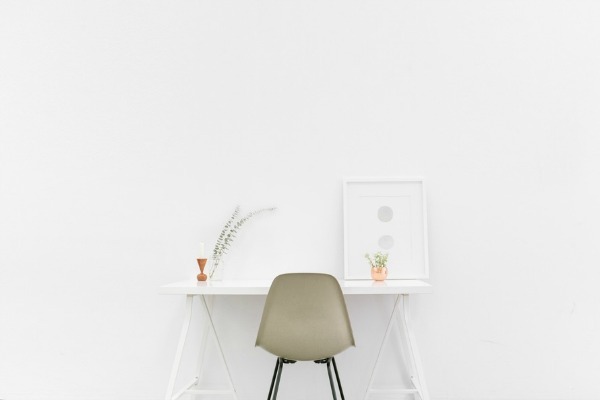 Aside from helping you become more focused and giving you time to invest in your life purpose, minimalism means you can enjoy the time you spend at home. No more packing the schedule to avoid dealing with the stuff at home. No, your home can become a haven of rest – and not just for you, for others who you invite over as well. Minimalism isn’t easy. At least not at first. At first minimalism can be terrifying…. After all, why would anyone want to get rid of most of their stuff? We work so hard—often 60 hours per week—to get all this stuff. So why would we throw it away? That stuff is so important to us because we’ve spent all our time accumulating it. Minimalism has a way of removing our excuses. You know the things you’ve always wanted to do, or felt called to do? When you pare down the physical items that surround you, it takes away the harried to-do list that tends to hang over your head. Instead of always having things to occupy you, your mind is able to focus and seek out what you truly desire to fill your life with. 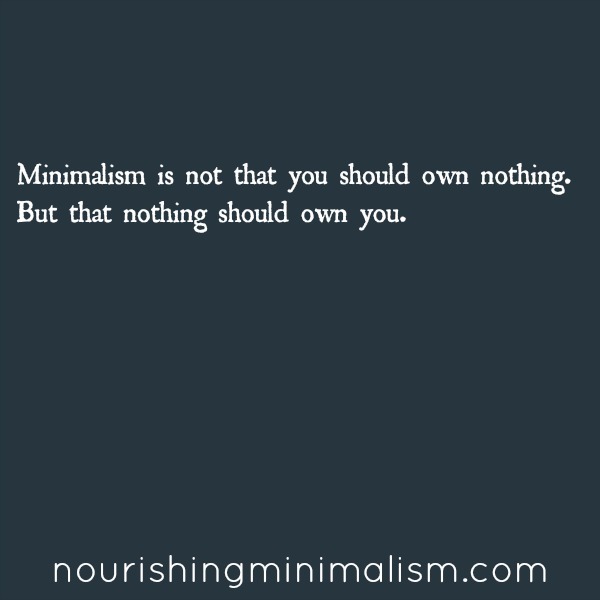 Don’t allow the term “minimalism” to deter you. It doesn’t mean your home is going to be stark white with 2 chairs and bare walls. Want some lovely minimal home tours? 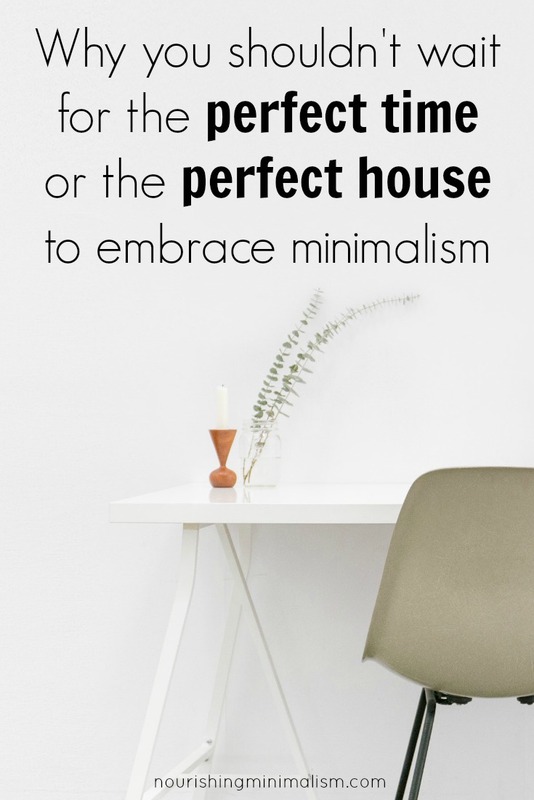 Minimalism is going to look different in every home and situation. It’s not about the amount of possession, or the way you decorate. 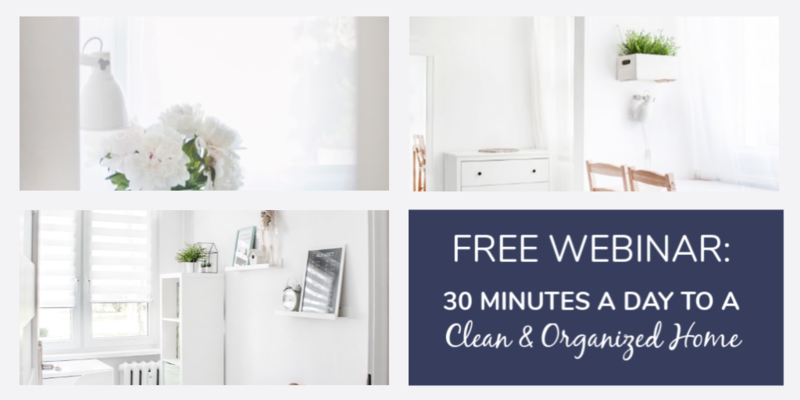 Now is the perfect time to declutter your home and embrace minimalism. It may not be easy or fast, but the important thing is starting. Doing something every day that moves you closer to living simply. Is it ever too late to simplify your life? Technically, no. You should start today. But practically speaking, there will come a time in all of our lives when we stare into the eye of a storm with one hand holding down the fort and the other distracted by the insignificant clutter and demanding tasks because we’ve put off simplifying one day too long. It’s that moment when suddenly the world stops you in your tracks and reminds you how little you control. The world hasn’t stopped though and now you have to manage a crisis while managing the consequences of overconsumption, overwhelmed homes and calendars, and the important buried under the immediate and you realize you’re spread too thin. Start small, take action every day, focus on one room at a time, only require yourself to sort one drawer, one shelf or one surface. I always recommend starting in the kitchen. The kitchen is the heart of the home, it’s more utilitarian, (which means there is less sentimental baggage to wade through as you sort) and it’s a place you have to be frequently, so seeing those clean and clear areas gives a great boost of confidence. Remember to celebrate the small victories. Any forward movement is what is important! I’ve been following your blog for a few months now. I’m a single dad of three kids. 9-10-11. Before my divorce my house was packed with junk. I’m now at close to one sheet full of things I have gotten rid of and I started another sheet for my kids. Now they are on board. Today I sat through a seminar for work called How to earn and living and still have a life. The whole time I wanted to teach a class on de cluttering and what I have learned by following your guidelines. Would you allow that or do you have a pre-built presentation that others can use. 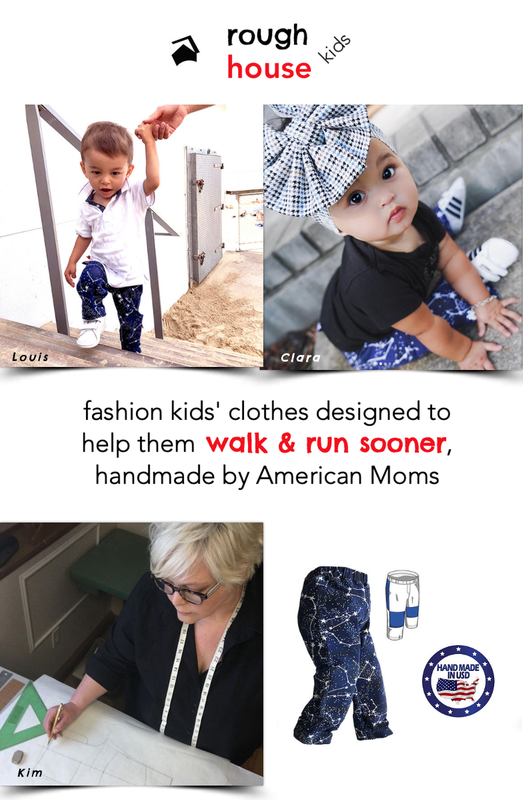 I would be very interested in helping…thanks.. Thanks for the link back to our home tour!! Wow! This is one of the best posts on minimalism that i have found! it says it all. your possessions really do own you. to be bogged down by possessions is almost as stressful as being bogged down by debt. both prevent you from being truly free.